This list is somewhat new to me and well worth revisiting. Way more important though is the unexpected observation that your response to the herb needs to evolve and includes meditation. Sensitivity must almost be learned. Who might have thought that? This implies that much of herbal healing needs to be folded in with a program of spiritual practice that enhances the response. A healer must also be a teacher. This needs to be thought through in serious detail and carefully to create informed protocols. It has been there all along but overlooked..
Everything that we put into our bodies has some effect on our consciousness and the functioning of our mind, from the air we breathe to the foods we eat to the liquids that we drink and everything in between. Even common foods like fruits, grains and vegetables have powerful effects on consciousness and the energies of the body and mind although few are sensitive enough to notice as it requires a deeper relationship and connection with oneself. But with that being said there is a special class of herbs and foods that are generally stronger and more pronounced in their effects and have long-recorded histories as powerful influencers of consciousness, awareness and our physical and mental state. These herbs and foods are frequently classified as medicinal and, if they are strong enough, psychedelic in the great herbal and ancient medical traditions of the East and West. Although some of the latter may be quite extreme in their effects, that’s not to say they are any better than the mellower plants and foods, but simply different. Generally speaking, something consumed everyday over the course of a lifetime or a few months or years will have a more permanent effect on the body and mind than something consumed once in a blue moon. In this article I’d like to cover a few of the most powerful, revered healing plants from around the world with a long history of use as consciousness raising and enhancing substances. Some of these will be suitable for everyday consumption and others for a handful of uses over the course of a lifetime. Either way, one thing is for sure: their use should not be taken lightly and if, for whatever reason, you notice no effects, then it is not because the plant has no effect, it is because you have not yet become sensitive enough to notice it. Speaking from experience here, over a decade ago having first begun my journey into herbalism, I could not discern any noticeable effects from the vast majority of herbs I took—and this was not a quality issue, mind you. I have always had a knack for finding the most pure and potent sources. Rather, it was due to my underdeveloped sensitivity to the sometimes subtle effects of the plants and a general disconnect between my mind and body. However, over the course of a decade filled with years of daily yoga, meditation, breathwork and Neigong practice, as well as occasional fasting and cleansing, and the overall purification of my diet and body, I have become extraordinarily sensitive to herbs and in fact all foods and liquids. Those same medicines that I before believed to have little to no effect are like drugs to me now. With that being said, most people will notice effects from these herbs should they be able to find potent, quality sources. As always, seek organic, wildcrafted or biodynamic sources, ideally from plants grown in or near their native habitat and minimally processed at low temperatures for maximum effect. In Ayurvedic medicine Gotu Kola is often referred to by its common name ‘Brahmi’ (not to be confused with Bacopa, which also shares this name), which loosely translates to ‘godlike,’ hinting at the reverence with which the Yogis and Rishis of ancient India held this plant. In both Chinese Medicine and Ayurvedic traditions, Gotu Kola is considered a supreme Shen (spiritual) and Sattva (reality enhancing) tonic herb, used for thousands of years with great effect. In China, it was more revered for its ability to extend life, used as a key component in an herbal blend used by many Daoists to surpass 250 years in age, as the records go. In India, it was and still is used by yogis, monks and meditators for its psychic and awareness enhancing effects. The Hindus consider it a powerful herb for balancing and opening the crown chakra, which is one of the primary points through which intuition is believed to enter the mind/body, and recent scientific research is, in fact, confirming that some of the herbs most pronounced effects are in the brain itself. Gotu Kola enhances oxygen uptake to the brain specifically and to the body’s cells in general and has been shown to actually increase intelligence in long term users. It has also been shown to enhance and harmonize trans-hemispheric communication in the brain, which is likely why it has been traditionally used by meditators. Brain hemisphere synchronization produces measurable changes in brainwave state into the alpha, gamma and theta spectrum, which are associated with expanded states of consciousness and have also been recorded in long-term meditators and monks even without the use of Gotu Kola. In that sense, the plant acts as a sort of shortcut to higher states of consciousness and awareness. Gotu Kola is also said to act directly on the pineal gland in part through the above mechanisms and due to the fact that it is vasodilator, causing both increased blood and oxygen flow to key areas and glands within the brain and body. Hormones themselves are the ‘molecules of consciousness’ and are synthesized and modulated by our brain and glands primarily. As such, we feel more alive and life becomes richer when they are functioning properly, which Gotu Kola plays a central role in facilitating. Taken long term, it literally rebuilds nerve pathways in the body and mind and rejuvenates the brain from the inside out. As the brain is the primary interface between consciousness itself and physical reality, the plant’s effects significantly alter our awareness and perception. On a more distinctly spiritual level, users of Gotu Kola have reported for millennia that the plant also increases intuitive awareness. While this is difficult to record with scientific instruments, it’s popularity among yogis and Rishis certainly lends anecdotal substance to this claim. Speaking from personal experience, if you are sensitive, you will definitely notice an expansion of intuitive insights. Much has been written about Reishi over the years as this sacred medicinal mushroom has gained recognition in medical communities for it’s powerful immune-modulating effects. However, far less has been written about it’s consciousness-enhancing properties and perhaps equally importantly how to select the proper variety for maximum effects in this area. In the Daoist tradition, Reishi is considered a supreme Shen, or ‘spirit-enhancing’ tonic. However, while this property is present in almost all Reishi products to some degree, for truly pronounced effects in this vein, only certain varieties and sourcing practices will be adequate, which we’ll get into in shortly. Chinese and Japanese emperors valued Reishi so highly that they would often send large parties into remote areas of the wilderness at great expense to collect the most potent and rare varieties of this sacred mushroom. In Daoist philosophy, Reishi is said to balance, restore and cultivate Jing, Shen and Qi energies in the body, which together are the three fundamental energies that give us life, Jing being our deepest reserves of life force, Qi being the daily energy that sustains us and Shen being our spiritual energy/awareness or connection with the infinite. As such, Reishi increases our vitality and life force energy at the deepest levels, which is why it has been reported to extend life well into the hundreds of years and beyond for millennia, with modern research into the plant identifying many known life-extending compounds. On a more practical level, Reishi expands consciousness in a number of interesting and unusual ways. For example, it acts to harmonize and relax the nervous system as a whole, with a particular emphasis on the heart. The more relaxed our nervous system is, the more receptive and sensitive we become to both intuitive insights and the subtle energies permeating the world around us. If you’re quick, you might be saying “Yes, but other herbs are calming as well so why is Reishi different?” The answer is in how Reishi works to calm the nervous system. Reishi is a lucidity-enhancing adaptogenic substance meaning that it calms the body and mind through restoring balance to the body’s organs and bio-energetic systems, not through sedation, which is how most relaxing herbs work. Sedation actually dulls the nervous system, similar in effect to alcohol. However, both Gotu Kola and Reishi actually sensitize the nervous system by reducing interference and calming overactive organs and stress-response biosystems. This is like removing the static from a radio signal, which allows more detail of the sounds coming through to be properly heard. In that sense, as Reishi removes the inflammation, stress and tension and begins to harmonize the different organs and systems in the body, the nervous system becomes primed into peak sensitivity and function, allowing us to experience what was always there but we had previously been too dulled to experience/notice. As I experienced when I began taking a Shen-rich Reishi product, my perception of time noticeably slowed. I suddenly became more sensitive to the incoming sensory data through all my faculties, allowing me to more readily notice sounds, colors, feelings, my thoughts and the experience of time itself. This is interesting given the fact that Reishi is a known Heart Qi tonic, essentially meaning it works to heal, balance and energize the heart and its energetic-etheric components, which is being shown in research from the Institute of HeartMath to be the primary intuitive center in the body. Their research has shown that a strong, healthy and sensitive heart is at least in large part responsible for our ability to receive precognitive/intuitive insights and extrasensory data that can and does enhance our perception and experience of reality in palpable and measurable ways, which would help explain some of what I personally experienced with this plant. However, those who are most likely to notice potent, consciousness-enhancing effects from Reishi are those engaged in regular energetic practices such as Qigong/Neigong, breathwork, energy healing/medicine or more advanced forms of Kriya and Tantric yoga and meditation. This is because Reishi is a powerful potentiator of Qi/Prana energies in the body. Used for extended periods of time, Reishi serves to noticeably boost and augment the body’s life force energy, which is useful for more advanced types of energy work. If you are not regularly engaged in these types of practices you may still feel its effects in this area as a deep harmony, sense of power and refined balance within the body and mind and perhaps a sensitivity to subtle energies within yourself and your environment. While you can find high quality Reishi and Gotu Kola at your local health food store, you’ll need to go on a bit more of a journey to find Iboga, which is a good thing because this is not a plant to be taken lightly or haphazardly. It is widely considered to be the most intense teacher plant (read: psychedelic substance) known to man, with a full dose sending you flying into visionary states with a complete disconnect from normal waking reality for up to 7-8 hours or more, the entire experience itself often lasting for days. The metabolites of Iboga have an extremely long half-life, meaning they can take months to leave the body completely. While you won’t be in an altered state of consciousness for much longer than a few days, the plant continues to work at deep levels in the body and mind for many months to come. Iboga is a rare and hard to find plant that is a proverbial right of passage both figuratively and literally in many indigenous cultures in Sub-Saharan Africa. However, there are many healing centers worldwide that offer guided Iboga ceremonies for the adventurous. And you’ll need a guide if you do decide to seek this plant out because Iboga incapacitates you during the peak of the experience as it literally resets your brain and rewires your consciousness at the deepest levels. Interestingly, the plant has been fairly well studied from a scientific point of view, due to its promise as an emerging treatment for drug addiction, and the findings hint at exactly why and how it so powerfully alters consciousness. Almost without exception, a good dose of Iboga affects and proverbially resets nearly every pathway and system in the brain, perhaps most importantly our NMDA receptors. NMDA receptor channels are basically areas of our brain that store and control our conditioning and bio-physiological and psychological response to various experiences (and substances) in life and are believed by researchers to be a large part of the mechanism that gives us the ability to form representational patterns and perceptions that allow us to have an experience of consciousness in physical form. Although not fully understood, they are critical to our experience of consciousness—as such, most anaesthetic drugs target this area of the brain as lowered activity here basically causes us to become unconscious to varying degrees. To put it in layman’s terms, Iboga is a powerful NMDA receptor antagonist, which basically means it resets or rewires this area of the brain and causes long-lasting neuronal changes in this and other critical areas. As I experienced it, Iboga removed much of the previous conditioning I had picked up over my lifetime—it literally erased much of the negative emotional patterning and proverbial “writing on the chalkboard of my mind” leaving me with a blank slate with which I was able to rebuild new neuronal pathways and positive emotional conditioning through life-affirming habits and actions that greatly improved not only my quality of life, but allowed me to perceive deeper layers of subtlety in my experience of reality to which I had previously been unaware. As a result of it’s NMDA activity and many other neurocognitive effects, Iboga also significantly resensitizes neurotransmitter receptors and binding sites throughout the body and mind and works to bring their overall balance back into harmony through deconditioning Pavlovian emotional responses to given stimuli in our environment.
. Life after IOn a more spiritual level, similar to DMT and Ayahuasca, Iboga catapults you into a state of expanded awareness that is hard to accurately describe, opening your consciousness and perception to deeper layers of the true nature of reality, whatever that may be. Speaking from experience, for me, there was life before Iboga and life after Iboga. boga included significantly more synchronicity, feelings of being “reborn,” a more profound connection to my own spiritual nature and origins, significantly increased intuitive awareness and ability to empathically interact with others and my environment, a noticeable increase in psychic and transpersonal ability, and the ability to sense and perceive energy in all forms in much greater detail. While this may seem like anecdotal evidence and it is to some degree, the plant has been used shamanically for thousands of years and these experiences are incredibly common. Like any other master teacher plant (Peyote, Ayahuasca, etc.) 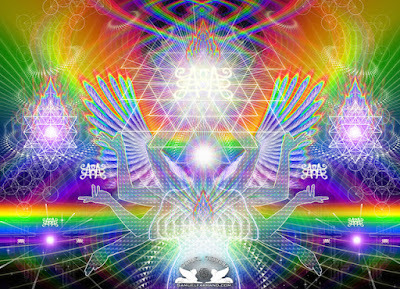 it acts as a powerful amplifier of consciousness and a doorway to aspects of reality far beyond our everyday perception. Although it is to be taken infrequently and with great reverence and caution, the experiences Iboga provides are so deep that they cannot help but alter consciousness permanently, if in no other way than by simply expanding our experience of reality in profound ways. The brain, body and nervous system are bio-physiologically programmed to record and integrate unusually intense or significant events and Iboga is both of these and then some, meaning the experience will stay with you forever. As such, it’s not to be taken lightly, although it is relatively safe when approached with the necessary precautions and can be a great accelerator of our conscious evolution in many ways. However, never forget that all you need for your journey into higher levels of consciousness is already within you and these herbs and plants are simply tools to help you access that which you already posses, not the means by which you will achieve your enlightenment. that taken in very small doses can have you meditating like a zen monk in a very short period of time. I will not mention this plants name because everything written about it is wrong . I stumbled on how to use this plant by accident.